Eating clean is one of the best things you can do for your health, and unlike other dieting trends, it is actually very easy to figure out. To eat clean, just eat food that is as minimally processed as possible. The less processing your food has to go through before it gets to your kitchen, the better it is for you. This may sound extremely boring and fairly limiting, but the truth is that your palate will begin to love clean-eating. This type of eating allows you to really enjoy the taste of different foods. The following are some ideas for great clean-eating recipes for breakfast, lunch, and dinner. As you move through this list, you may be wondering how clean-eating is defined. Of course, you want to avoid highly processed foods like potato chips, foods with added sweetener, and various fast foods. 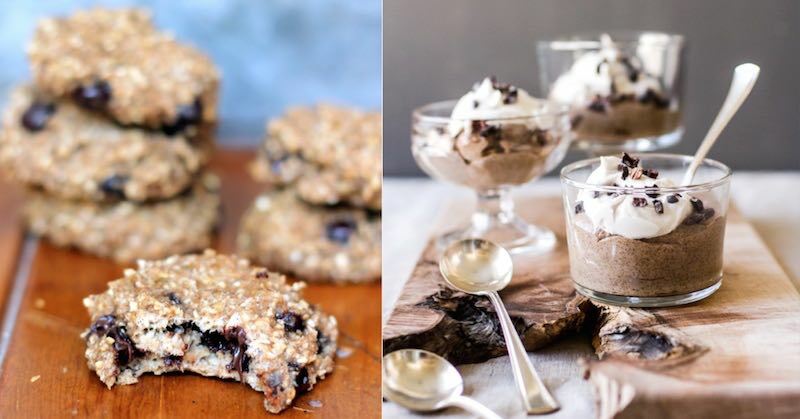 You’ll find that the recipes below will naturally limit your sugar, wheat, and flour intake. Banana Bread Breakfast Cookies: These cookies are so easy to make that you have no reason to skip breakfast. All you do is mash bananas and oats together until you reach the consistency of cookie dough. Pop them in the oven for a few minutes and you have banana breakfast cookies. You can add other fruits for added flavor. Cake Batter Chia Pudding: Chia seeds are great way to start the morning, as they’re good for cleaning our your digestive tract with the insoluble fiber. This recipe also includes dates, almond butter, and coconut cream. 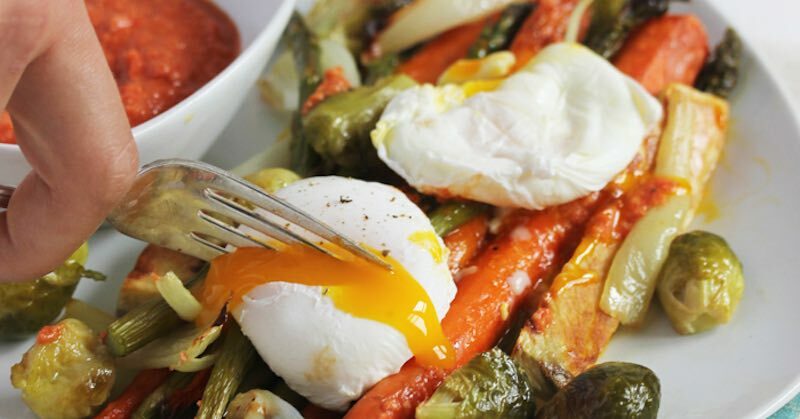 Poached Eggs with Romesco Sauce: This recipe is perfect if you like to start your day with a savory, hearty meal packed full of protein and veggies. 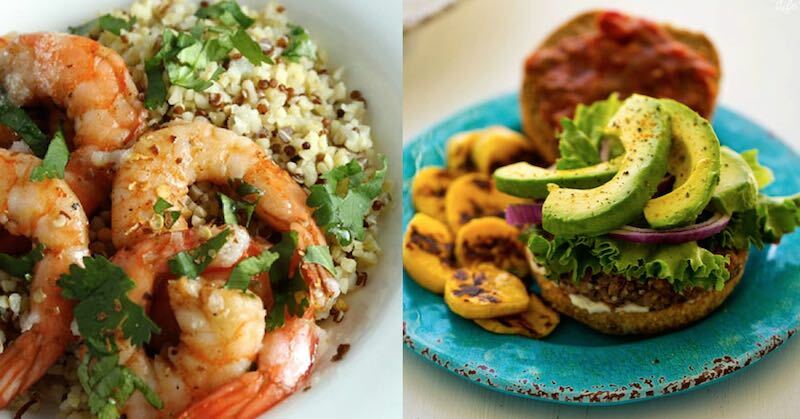 Get through that midday stretch with clean eating lunch recipes, which can help you boost your energy without relying on caffeine and sugar. 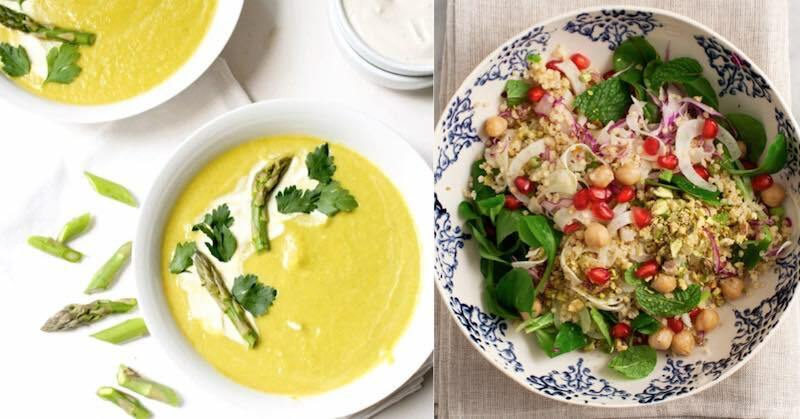 Chilled Asparagus Soup: Hit your recommended vegetable intake with this soup, which features asparagus, avocados, onion, and celery. Millet And Pomegranate Salad: This gorgeous salad is so filling that you’ll never miss your fast food lunches. Ingredients include millet, pistachios, pomegranate, and mint. Salmon Cakes: By baking instead of frying and using sweet potato instead of regular potato, you can enjoy this lunch classic. Spicy Garlic Shrimp: With garlic, fresh shrimp, and plenty of herbs, this dinner comes together in less than 10 minutes. Veggie Burgers: These burgers feature black beans, plantains, and avocados—all the ingredients you need for a flavorful, meaty burger. Salsa Chicken Thighs: Whip up a batch of homemade salsa and toss it in the crockpot with chicken thighs. 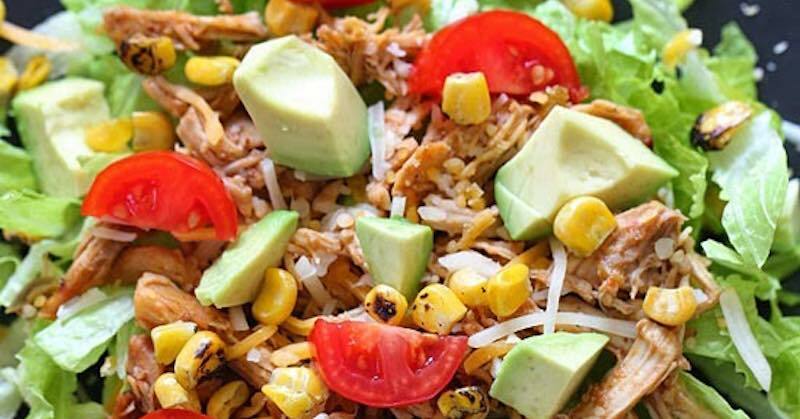 By the end of your work day, you’ll have slow-cooked chicken that you can use in a huge variety of ways.